One of the ways we can protect ourselves is by keeping our eyes and ears open for recalls and advisories. To make this easier Health Canada offers the Healthy Canadians Website . This site is dedicated to providing us with a wide range of information to keep us healthy: food guides, travel health notices, "get active" tip sheets, pregnancy information, and environmental concerns. The section we are looking at for this post is the Recalls and Alerts. This is one of the first sections in the navigation bar. This web application includes recalls from Health Canada, the Canadian Food Inspection Agency, and Transport Canada. 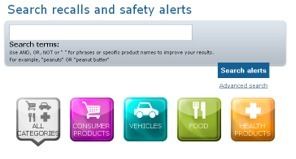 It lists alerts concerning consumer products, health products, food, and vehicles. These can be searched individually or you can view all alerts together. The website is very user-friendly, and there are several other options for obtaining alerts. These range from email newsletters, RSS feeds on these topics, check-in using Twitter or Facebook, and mobile apps for your phone or tablet. You are able to customize what sort of recalls you want to be made aware of as soon as they are posted. The recall is very detailed, giving you information on what type of hazard, who instituted the recall and when. There will be specifics on how widespread the distribution is and who to contact regarding the recall. They provide many ways to identify your product using names, manufacturing dates, UPC codes and images . This site also provides links to any government departments that might pertain to your recall to ensure you are getting the most up to date information. On our end there is an opportunity at the bottom of the page for public participation in two ways. One is by reporting any problems we encounter, whether it is with food labelling or vehicle safety. The other is to take part in public consultations. There is a calendar and subject list so you can choose the topics that interest you. So whether you bookmark it on your home computer, sign up for alerts or check in on Facebook, the Recall section of the Healthy Canadians website is there to help you stay safe and healthy. Do those commercials for Ancestry.com leave you longing to search for your roots? Do you wish you knew more about your ancestors but don't know where to start? Tracing your family history just got a whole lot easier. Effective immediately, all branches of the Annapolis Valley Regional Library are offering free access to the Library Edition of Ancestry.com. Ancestry.com offers access to tons of genealogical information such as censuses, vital records, immigration records, family histories, military records, court and legal documents, directories, photos, maps, and more. Last year AVRL offered the Library Edition of Ancestry.com in four branches as a pilot project to gauge public interest and it proved to so popular that we have expanded it to all locations. In fact almost all public libraries in Nova Scotia now offer it. 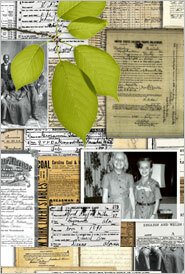 It's a great resource for the novice or the serious genealogist. It's also kind of neat to find documents relating to your long lost relatives. I found a listing for a ship that regularly travelled from Lunenburg to Boston that my grandfather worked on in the 1920's. He was listed as a "legal alien" and it even included a physical description of him including height, weight, hair and eye colour so no illegal aliens could stow away on the ship and get into the U.S.! You can find the link to Ancestry.com on the lower left-hand side of the AVRL website . This can only be accessed from inside the library using the library computers or you can use your own device with our wireless network. Come on in and try it! Aaah! Food! I love food. I would like to say “Who doesn’t love food?” However, I have met my share of picky eaters over the years. They come in many forms. Those who will eat condiments and those who won’t. Those who won’t eat anything red or too green. Those who will eat this vegetable but not that one. On and on it goes. I will admit, that there are certain things that even I won’t eat, but I am willing to try most anything. I enjoy cooking and I like to try new and different things. I’ll never be a chef. You won’t see me on Hell’s Kitchen or The Taste. And I’m pretty sure I am not going to be a world traveler. So what to do, what to do? This is where the library comes in. It has a wealth of tastes and flavors in the form of cookbooks. I love cookbooks. So many cookbooks, so many choices. Everything you could want from Chinese, Italian, Indian, Jewish, Thai, Vietnamese, Canadian, and more. There are cookbooks for vegetarians and vegans. For those who have diabetes or need gluten-free meals. Step-by-step cookbooks. Children’s cookbooks. And yes, even cookbooks for picky eaters. There are so many choices. You can try something new every day if you like, or just on occasion. One of my favorite flavors is coconut. When I think of it, I usually think about coconut cream pie. Now I think about Bombay Chicken Curry. When I made this dish, it was a big hit. 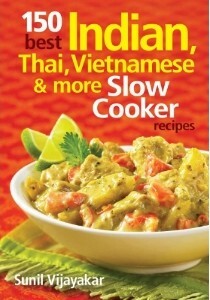 You can find it in 150 best Indian, Thai, Vietnamese & more slow cooker recipes by Sunil Vijayakar. I highly recommend visiting the cookbook section of your local library. And if you don’t see what you are looking for on those shelves, I’m sure the library staff will help you get that special book for the right flavor you are looking for. Planning a Wedding? We can help. In the Valley, the spring and summer are certainly the most popular seasons for getting married. There are so many choices out there with a wide variety of venues for both the ceremony and the reception. 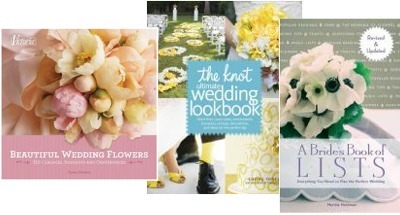 If you are planning a spring or summer wedding, now is the time to finalize your plans. We have some wonderful books that are sure to give you some ideas and help you make some important decisions. As well, there are some terrific electronic resources available on-line. The Knot Ultimate Wedding Lookbook : more than1,000 cakes, centerpieces, bouquets, dresses, decorations, and ideas for theperfect day by Carley Roney is organized into colour themes which is a great way to get an overall picture of how things can go together. To compliment this, have a look at The Knot website. You will need to register, but it is a good site and worth that extra step. The Martha Stewart Weddings website is a site that is also full of great colour combinations, as well as lots of beautiful and creative decorating ideas. A Bride's Book of Lists :everything you need to plan the perfect wedding by Marsha Heckman has as it says, everything, including the things you hadn't even thought about yet. With the help of this book, you won't miss a thing. The New-fashioned Wedding :designing your artful, modern, crafty, textured, sophisticated celebration by Paige Appel is certainly worth a look, it has lots of great ideas. These and many others are sure to spark some inspiration. We really can't forget about Pinterest. "Pinterest is a tool for collecting and organizing things you love." I really, really like this social media tool, especially for collecting and sorting out ideas, it is a graphical representation for websites, like bookmarks, but with pictures. Within Pinterest, you search for things like "yellow wedding bouquets" and you will get lots of images for your search. You can then repin them to your Pinterest account. When you go back to your account later you just need to click on that image and go to the website where it was pinned from. It is much better than having a list of websites where you can't remember which one had that grey bridesmaids' dress that you really liked. It is also great for do-it-yourself crafts, recipes, knitting patterns, well actually, just about anything. First off, Happy April Fool's Day! I really, really wanted to play a trick on the blog, but instead, I'm going to share my love for Twitter. If you don't know about it, Twitter is a social networking site that limits posts to 140 characters. If you aren't Tweeting, try this sometime: say something witty and pithy, using ONLY 140 CHARACTERS. It is challenging! Some teachers are using Twitter for writing exercises, and I can understand why. You have to really use just the right word, and you have to THINK about what it is you want to say. But honestly, that's not the main reason I love Twitter. Being a stay-up-past-my-bedtime book fanatic, I love Twitter for the interactions I have with the authors of the books I so adore. I read Cathy Marie Buchanan's (@CathyMBuchanan) lovely new novel, The Painted Girls, and Tweeted about how much I enjoyed it. She replied to me! She even retweeted one of my Tweets! And followed me! (For those of you unfamiliar with Twitter, a "retweet" is when someone reposts your Tweet. Exciting!) Ok, so maybe that is not earth-shaking to some of you, but I had a personal interaction with the author of a book I really enjoyed. When was the last time you did that? I follow many authors on Twitter, and I feel like I know something about them. For instance, I found out that Elizabeth Wein (@EWein2412) was a huge fan of the show Flambards when she was in High School, because I tweeted that watching it made me think of her book, Code Name Verity. Yes, some of them Tweet about breakfast, the TV shows they watch, their chickens, their travels, and their political views. I find it fascinating. I also wonder when some of them actually write because they sure do Tweet a lot. Those who follow YA author Maureen Johnson (@maureenjohnson) know what I mean! I can also keep in touch with authors that I have actually met or worked with: I love hearing about @CarrieMacWrites and her adorable children, and @arthurslade posts all sorts of interesting tidbits. I've also won things on Twitter. I've won 2 books and an iTunes gift card. Again, not headline news, but I now have a personally signed copy of a book from an author I really admire. @DanielDKraus sent me a copy of his new book Scowler because I loved his first book and Tweeted about it during a giveaway. My winning Tweet: "I want Scowler advance copy...because Rotters nearly made me puke about 10 times." @SavvyReader has a great 50 Book Pledge initiative on Twitter. You pledge to read at least 50 books in the year, and you Tweet about the books you read. They even have a nifty bookshelf this year that you can use to track your reading. I love this new feature, and I love that I can write a quick review of the book – it comes in handy when I am recommending books to others! Check out my bookshelf here. PS – I've already read more than 50 books this year. Refer to above paragraph. I stay up too late reading on a regular basis. I've connected with other librarians on Twitter, too. I have many new librarian colleagues that I have never met, yet I feel like I know a bit about them. And when library conferences roll around, and someone organizes a Tweet-up (meet-up) in person, worlds collide! Internet becomes reality! So if you've heard about Twitter, but haven't delved into the Twitterverse, now's the time. Follow me @annavalley and follow AVRL @valleylibs. See you in the ether.